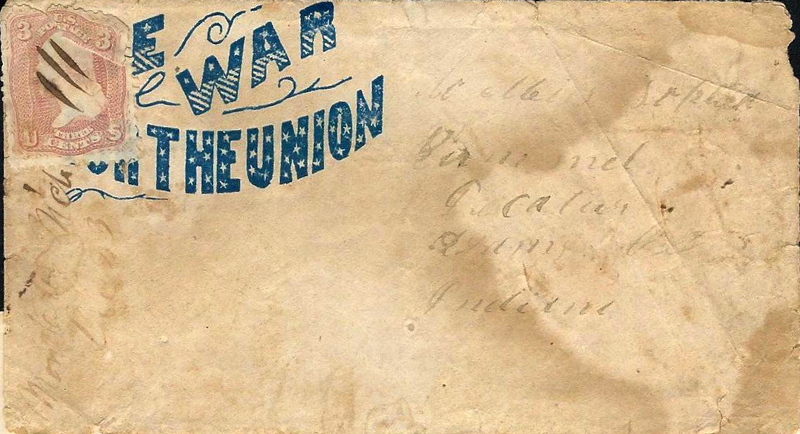 This letter was written by 20 year-old Oscar Brothers (1844-1917) who served in Company C, 47th Indiana Infantry. He mustered in on 18 January 1864 and mustered out on October 23, 1865. Oscar was the son of William Brothers (1819-1907) and Catherine May (1821-1907) of Adams County, Indiana. Oscar was married in March 1870 to Sarah Jane Helm (1846-1915). He wrote this letter to his cousin, Sophia Rummel of Decatur, Indiana. The next point was the mouth of the White River, and from there to Duvall’s Bluff, and back without disembarking, and again went into camp. 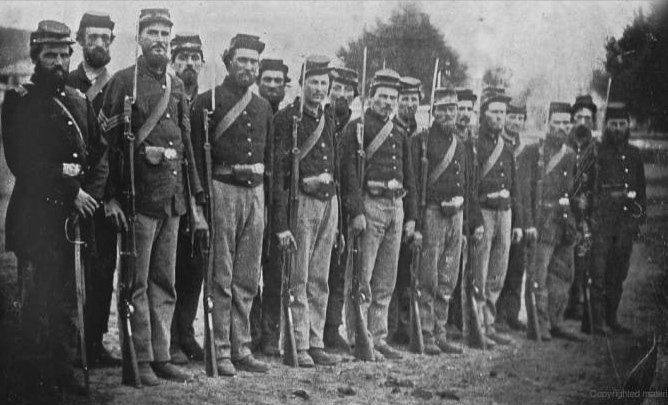 Here the troops were reviewed by General Nelson. Winter quarters were built here, but soon got marching orders. The next stop was at St. Charles, Arkansas, where they again built winter quarters. Ground their corn at a mule mill in the country; went almost daily to the relief of the cavalry, who encountered Morgan’s guerillas; from here to Duvall’s Bluff by boats, and again built winter quarters, only to leave them ere they were completed, for Little Rock, by rail, where they went into comfortable quarters. From this point a detachment of 160 men, under command of Capt. C. B. Rager, were dispatched to Fort Smith, with a supply of boats in charge; thence to Memphis, via Duvall’s Bluff, and the mouth of White River. From this point another raid was made through the country in which there was some sharp skirmishing. At this point the company’s officers, except two, were mustered out by general order from the war departments. Again the regiment embarked for New Orleans, and from there to Kennerville, fourteen miles up the river. I have long delayed answering your letter which I received something over a month ago on the account of being detailed away from the regiment. I received your kind letter while at St. Charles, Arkansas, but we was ordered away so that I did not get time to answer it. We went from St. Charles to Duvalls’s Bluff and from there to Little Rock and there I was detailed to go up the Arkansas River up to Fort Smith, the boat being loaded with rations for the troops at Fort Smith but the water was so low that we only got up the river about 150 miles where we lay for about three weeks. We had some very good times while we laid there on the boat. We would go out into the country to see the young ladies and have parties in which we enjoyed ourselves very well but still it was not so nice and beautiful to go to parties in the South and among the Southern girls as it used to be in the North among the loyal ladies of freedom. Well, dear cousin, I believe in my memory serves me right that you spoke something in your last letter about paying me a visit. I would be happy to receive a visit from you but I fear that it would be a very long road for your to come visiting unless you intended to stay with us awhile. But I must quit writing so much foolishness. We are camped 19 miles above the City of New Orleans on the east bank of the Mississippi River in a large cotton field and our camp has been very wet and muddy but it is a drying off very fast & today it is a very nice, warm day and I have been making a washwoman of myself. Today I have been washing clothes for the boys for amusement and I think it is very good exercise so I will have to close by informing you that this leaves me in good health [and] hoping it may find you in the same enjoyment.